“Fitting together the pieces of each client’s financial puzzle in pursuit of their goals is what makes my job so rewarding. Whether planning for retirement, growing a business, purchasing a vacation home or educating children, every aspect has its challenges and rewards.” A graduate of the University of Georgia, Joy began her career with Prudential in 1979. She and her father, C. Robert Jones, Jr. founded Watkins Financial Group, LLC in 1986 and in August 2017 merged with Anchor. Joy and her staff are excited about the synergy and opportunities to serve their clients’ investment, retirement and financial planning needs even better by combining resources with Anchor. Joy is a Certified Financial Planner ™ professional, member of the Financial Planning Association and a life and qualifying member of the Million Dollar Round Table. 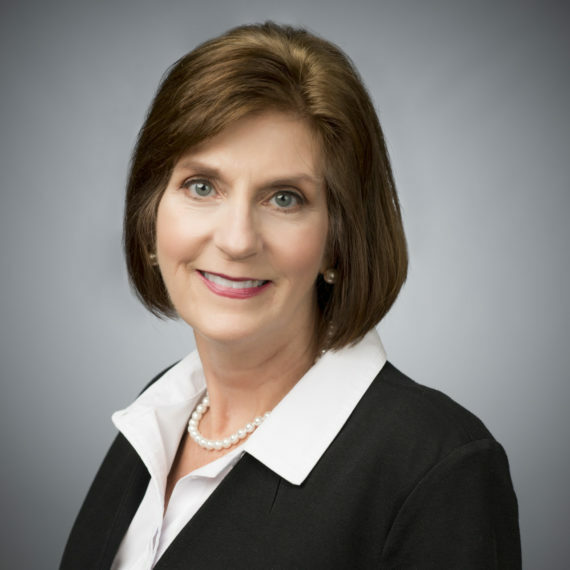 She is past president of the National Association of Insurance and Financial Advisors Columbia, SC chapter, past board member of Palmetto Baptist Hospice and is currently serving on the Family Promise committee at her church, Trinity United Methodist Church. Active in her community, Joy was named Rotarian of the Year in 2016 by the Rotary Club of Blythewood. A life -long resident of Columbia, Joy is married to Bill Watkins and they have two grown children. She enjoys running, working out, reading, cooking and gardening.